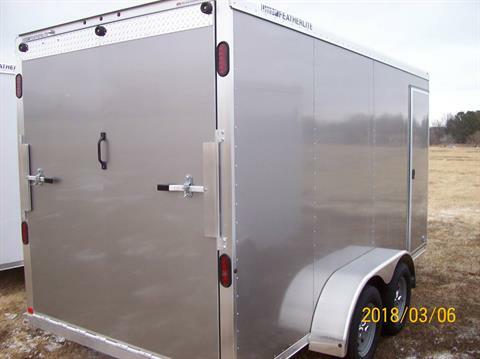 New 2018 Featherlite Model 1610-6714 All Aluminum Cargo Trailer. 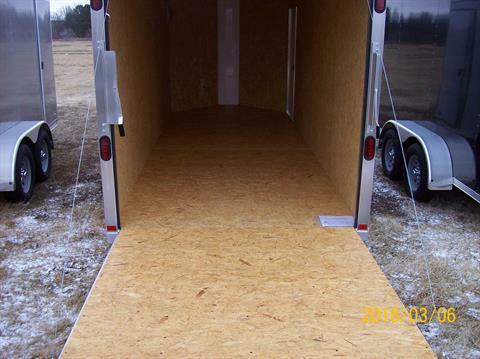 6'7" wide x 7' tall x 14' long (plus v-nose) 3500 lb rubber torsion axles with brakes on both axles. 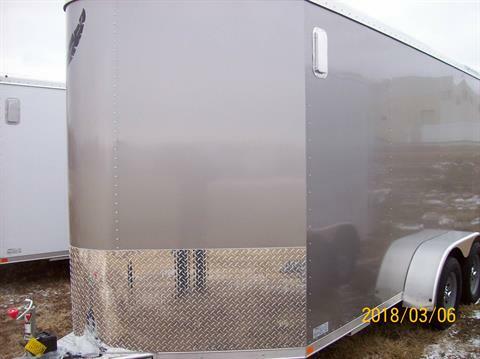 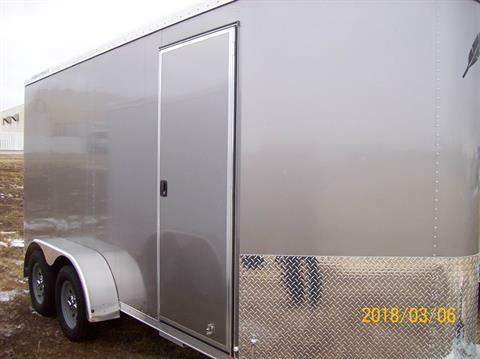 EXTRAS: 7' tall, Silver Side Sheets, Rear Ramp Door with Cable Assist. Special Volume Purchase with huge savings. Hurry on this great deal!